VPN.ac is a Romanian based VPN provider that began operations in 2012, with a great user interface, fast speed, and premium network in more than 20 countries such as Romania, Netherlands, Singapore, Canada, Switzerland, France, Germany, Sweden, Hong Kong, USA, UK, Luxembourg and more. It is designed with an aim to help people access region-restricted websites, shield browsing activity from prying eyes on public Wi-Fi, and bypass Internet censorship. The App supports platforms including Windows, Mac, Linux, iOS, Android. Even better, it extends access to routers like DD-WRT, Tomato, Advanced Tomato, OpenWRT, AsusWRT/Merlin, pfSense. With one single account, it allows 6 simultaneous connections which provides a great way to keep all your home devices secure online. In addition, VPN.ac includes SecureProxy browser extension for Opera, Chrome and Firefox, which gives you the ability to surf the web securely and privately without connecting to a “classic” VPN. It works like a browser proxy and all browsing traffic is encrypted through a secure tunnel. For people who don’t want to encrypt all traffic on their computer via a VPN, but need a secure solution for browsing with more privacy, this is a useful feature. When it comes to security, VPN.ac supports OpenVPN, IPSec/L2TP, IKEv2, and PPTP encryption protocols and uses military grade encryption to encrypt your personal data. The 256-bit AES encryption it uses is as the same encryption method used by security professionals and governments to keep information private. Other than that, VPN.ac has a Kill Switch to ensure your IP address is not exposed in the case of a VPN drop-out. It also features DNS leak protection to protect your online activity and privacy in case DNS servers send unencrypted queries outside a secure VPN tunnel. VPN.ac has the best combination of ease-of-use, fast servers, and supports streaming media and torrenting, all for a cheap price. With the service, you’re free to download massive files like movies, games, or music without exposing your location. You can bypass geographic restrictions on websites or streaming audio and video wherever you are in the world. Watch streaming media like Netflix and Hulu while you are traveling will not be an issue anymore. VPN.ac even protects yourself from snooping on untrustworthy Wi-Fi hotspots by hiding your true location and encrypting your Internet traffic. No bandwidth limits. No monthly cap. No ISP service throttling. Give it a try now! VPN.ac comes with 7-day money back guarantee, so you have nothing to risk. Price starts from $3.75/mo. Depending on the subscription length, VPN.ac offers 4 plans for people to choose from: 1 Month, 3 Months, 1 Year, and 2 Years. Here’s how much each subscription costs. VPN.ac has four payment plans. The only difference between them is the term you’re prepaying for and the discount you get. Basically, if you choose a long-term subscription, you’ll even get a significant discount available. The longer the package, the better the value. So, for the biggest savings, you can prepay for two full years at $90 to save 62%, which sinks the price down to only $3.75 per month. Compared to the monthly price $9.00/month, the special deal for two-year subscriptions is very favorable. Each plan includes: easy to use VPN client software for Windows, Mac, iOS and Android, secure VPN protocol types, 7 days money back guarantee, bitcoin support, no activity logs or speed limit, 6 simultaneous connections (3 with trial), no protocols restriction, completely secure DNS services, cutting edge VPN encryption and more. Whatever plan you choose, you can enjoy all these powerful features in your subscription. Want to Save More? Now visitors on our site can get a special VPN.ac promo code/coupon code to save an extra 20% off your purchase. The promo code can be applied to any plans. 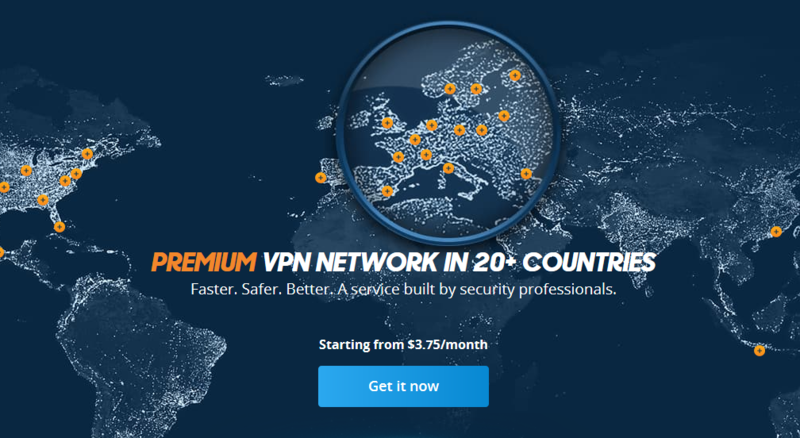 With the special deal, you can get VPN.ac 2 years protection for only $72.00 USD. What are you waiting for? VPN.ac offers many payment options. You can pay via Credit/Debit Cards, Unionpay, Alipay, Gift Cards, Webmoney, iDEAL, Giropay and even mobile/SMS and many more depending on your location. It also supports anonymous payment methods, such as Bitcoin, Bitcoin Cash, Litecoin, Ethereum, Dash, Dogecoin, Monero, Ripple and more. In recent years, more VPN companies have begun offering kill switch feature, that prevents Internet users from accessing an unprotected Internet connection when the online traffic is not forwarded through VPN. VPN.ac features with a Kill Switch as well so it can protect your online activity and IP address from being suddenly exposed in case of a dropped connection from their server. VPN.ac has self-hosted DNS servers, and they do not rely on 3rd parties. They offer true zero-knowledge DNS with no logging. All DNS requests on their network are encrypted with 128-bit encryption in addition to your VPN tunnel encryption. VPN.ac is a double-hop VPN simply encrypts your connection across two servers before exiting onto the regular internet. Routing your traffic through two in separate jurisdictions gives you a higher level of privacy and security – even if one server were to be compromised. So you can get a higher level of anonymity. An IP Address, like any address, is a powerful thing when known. It can be used to identify where you are in the world, restrict content, or track you online. By knowing your IP address, ISPs and the government can target ads at you, block you from accessing overseas content, put you under surveillance or censor you. VPN.ac can assign new IP addresses for you. As you connect to its VPN network, you’ll be assigned another IP address, which spoofs your real one, and you will appear as if you are coming from anywhere in the world. This way allows you to beat geoblocking and unblock Facebook, Twitter, YouTube, Gmail and more from anywhere. VPN.ac offers SecureProxy browser extension for Chrome, Firefox and Opera. The feature gives you the ability to surf the web securely and privately without connecting to the “classic” VPN. It works like a browser proxy and all browsing traffic is encrypted through a secure tunnel. You can unlock sites within seconds, take care of your Internet privacy, hide your location, and get protection from malicious websites with only a few clicks. VPN.ac allows for unlimited bandwidth. Having unlimited bandwidth means you’re able to download as much data, stream as much video or listen to as much music as you’d want to without any restrictions. The ability to connect multiple devices is highly convenient for users looking to enjoy the full benefits of a VPN. VPN.ac allows its users to utilize a single account on up to 6 devices simultaneously from the same country. With the VPN service, all your devices are completely protected. A VPN will help to protect your privacy and secure your data whenever you’re using the internet. But, beyond choosing the best VPN, you’ll also need to choose the best VPN protocol for your needs. Commonly there are five popular protocols used on a VPN service – PPTP, SSTP, OpenVPN, L2TP/IPsec, and IKEv2. Available protocols with VPN.ac are OpenVPN, IPSec/L2TP, IKEv2, and PPTP encryption protocols. OpenVPN is currently considered the most secure VPN protocol – as such, it has become the industry standard. And IKEv2’s open source iterations are a decent alternative to OpenVPN. There are a wide variety of VPN products that each have strengths and weaknesses, each having features that cater to a specific niche of users. Finding the best provider can be a difficult task. 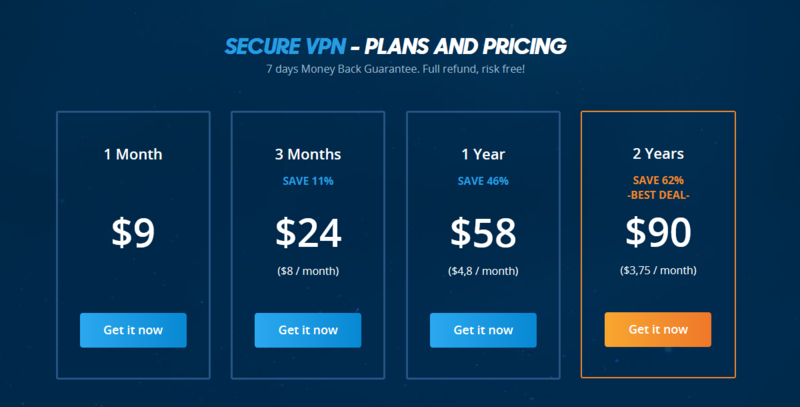 VPN.AC is a fairly new provider based in Romania and one benefit of signing with them is the 7 days money back guarantee offered to all new customers. Add into this the fact that VPN.ac also offers a trial account for 7 days at a price of only $2.00, a very cheap price for more than enough time to test everything within the service. Note: Compared to a regular account, VPN.ac trial account only allows 3 simultaneous connections but not 6. Speaking of VPN.ac’s customer support, it is a pity that the service doesn’t offer a live chat feature, so the best way to contact them is via a form submitted through the website or direct email. But thankfully, for most frequent asked questions, you can find answers in its helpfully organized Knowledgebase, including FAQs, troubleshooting tops and detailed setup guides. The company also provides its Skype ID as a method of contact. This is especially useful for users in countries such as China where most other communication methods are blocked. There’s also a blog and the company is present on social media, too, namely Facebook and Twitter. VPN.AC is not the biggest provider on the market but it is one of the top-ranked VPN services in the market that offers fast speed and excellent performance. 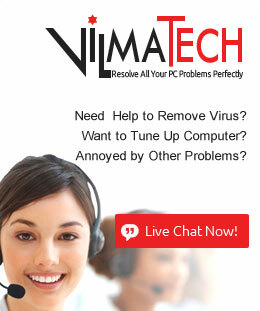 The service is available for Microsoft Windows, MacOS, iOS, and Android devices. It has an easy to use interface and includes top-tier features, such as a VPN kill switch, multi-hop connections, protection against IPv6 and first-party DNS servers and more. Available on Chrome, Opera and Firefox, VPN.ac’s SecureProxy web extension offers yet another easy way to secure connections as with it HTTPS traffic will be encrypted and protection against DPI tracking will be provided. While using VPN.ac, you can enjoy secure P2P downloading without exposing your true IP address, but P2P-optimized servers are limited to Europe and Canada. Access to Netflix and iPlayer is currently possible but a lack of dedicated streaming servers means this might not always be the case. Despite this, VPN.ac’s strong encryption, fast speeds, and solid connection are very impressive. Another good thing is that VPN.ac accepts Bitcoins when customers register for payment plans, meaning the customer can remain truly anonymous with this site as the only information they will have about this customer is an email address. Using VPN.ac allows you to unblock streaming and social media websites, defeat censorship and get the content you want wherever you want it. Overall, VPN.ac is great for both tech-savvy users and VPN newbies, and if the VPN improves the limited server network and adds live chat feature on their website, it will be much better. VPN.ac provides a 7 day money-back guarantee. Try it risk free now!